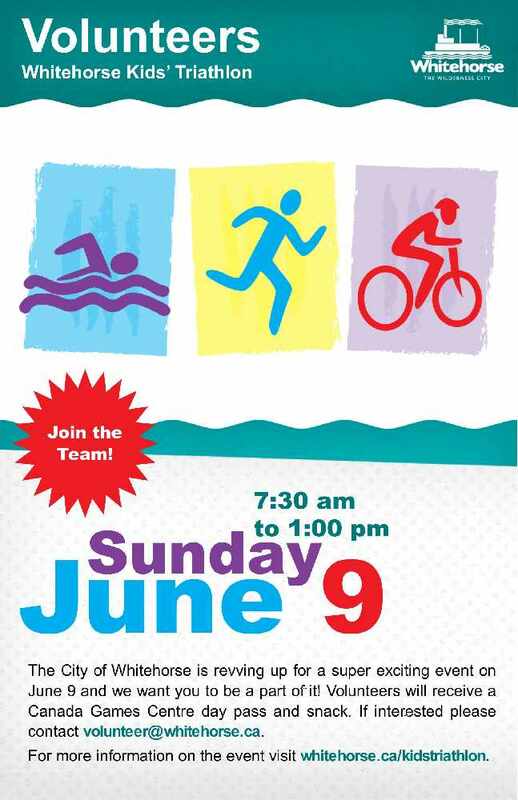 The Whitehorse Kids' Triathlon is an annual community event that encourages children to be active and healthy through non-competitive sport. We are now looking for volunteers for this event. Volunteers will receive a Canada Games Centre pass and a lunch voucher. Please email volunteer@whitehorse.ca if you are interested in volunteering! The event runs from 7:30am to 1:00pm on the following dates.